Despite the fact that plenty of investment banks had lined up against gold's prospects over the past months, gold managed to post its best quarter in thirty years for the first three months of 2016. Gold prices roared 16% higher in January, February, and March, their best showing for a quarter since 1986. This may just be the beginning of the yellow metal's rebound too. Between larger ETF gold holdings, continued monetary easing, and dimming prospects for higher U.S. interest rates, gold's fortunes have begun to shine yet again. Part of the reason that gold prices have managed such an impressive quarter stems from the gold bullion exchange traded funds. As more investors buy into the funds, the gold ETFs purchase more ounces of gold to back their shares. Investor participation in the funds has risen dramatically in the first four months of the year. These funds have increased their holdings to their highest level since back in December of 2013. 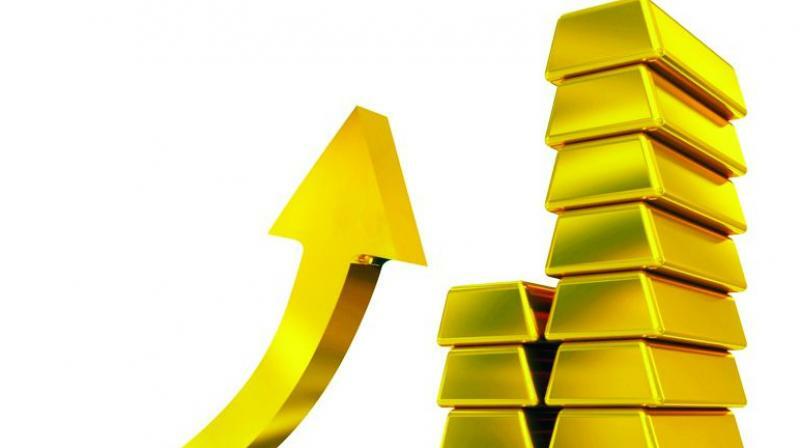 Analysts have taken note of the recent strength in gold and broader based investor participation as well. A number of bearish analysts have changed their tune on gold as a result of its first quarter 2016 success. Even bearish on gold Goldman Sachs has raised its 3 month forecast to $1,200, its 6 month prognosis to $1,180, and 12 month price prediction to $1,150 per ounce. While Goldman is still bearish, other analysts have come around to the bullish camp. Long time gold bear Georgette Boele of Dutch ABN Amro Group has changed her stance on the yellow metal. In April, French based BNP Paribas stated that they see gold climbing to as much as $1,400 per ounce between now and the next year. One of the two main drivers in higher gold prices this first quarter in 2016 has been the continued quantitative easing. Monetary easing may have finished in the United States, but it is still going full swing in other economic blocks and countries. All this money printing that has been going on has boosted gold's prospects as well. The European Central Bank continues to print additional Euros and to lend them out to banks at historically low levels. They are also purchasing long term 30 year corporate bonds at near zero percent levels. It is not just the Euro Zone that is on a money printing and lending spree these days either. The Japanese government continues to do the same, creating more Yen and injecting it into the system every time the economy suffers a setback. In the first week of May, the lending rates in both Europe and Japan dropped to lower than zero percent. This means banks and other financial institutions in the EZ and Japan are now actually paid interest to take out loans from their respective central banking authorities. Debasing the currency by printing and lending out practically limitless artificially cheap Euros and Yen is strongly bullish for long time inflation hedge metal gold. Gold leapt above $1,300 per ounce on the news of the sub zero interest rates. The dollar had gained a lot of strength and gold suffered setbacks last year on the idea that interest rates in the U.S. would be gradually but consistently increased over the coming quarters. Now this idea of higher U.S. interest rates in the near term has been called into question this past month. As there have been rising concerns about the pace and strength of global growth, the prospects for higher costs of U.S. borrowing have diminished. Traders who place financial bets on the chances of higher interest rates in the Fed fund futures markets have taken notice. They now have raised the odds of upcoming rate increases at substantially lower levels. For July, traders show an only 17 percent chance of an interest rate hike. Even for the September period, they have lowered their expectations to a mere 31%. Goldman has also lowered its forecasts for interest rate increases during the coming 12 months. Previously they predicted a one percentage point increase in the interest rates. Now they are only calling for a half percentage point increase over the next year. The investment bank predicts the next interest rate hike will most likely come in September as growth in the U.S. continues gradually. Continued low interest rates in the U.S. are positive for gold prices. Gold is mostly priced in dollars still, so U.S. interest rates are a key driver in the long term pricing of the safe haven metal. Lower interest rates offer fewer good interest yielding investment alternatives to gold. 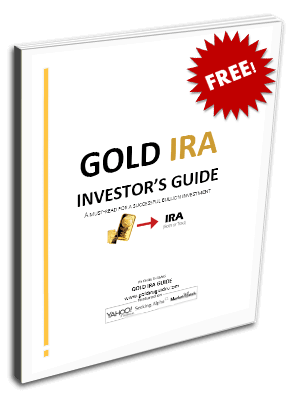 Higher interest rates tend to lead investors away from gold into other investments that pay interest. So long as the interest rates stay lower for longer as looks increasingly more likely, gold prices should continue to be well supported.